Now technology developments doesn't inevitable, despite the focus on building vehicles, Toyota recently created a robot named Kirobo Mini, and the Japanese car manufacturer designed them as a synthetic baby companion. The robot measuring 4-10 cm can read the mood of the driver even understand of the driver's speech and gestures. By reading the driver's mood, Kirobo can give advice to the places that need to be visited, as well as routes that go through or the music needs to be played. In addition, Kirobo also can be connected to the car system and some other gadgets in the home, because the robot is also able to learn and track the whereabouts. These mini-sized robot was actually been introduced by Toyota in the Tokyo Motor Show 2015, but they launched it officially today. 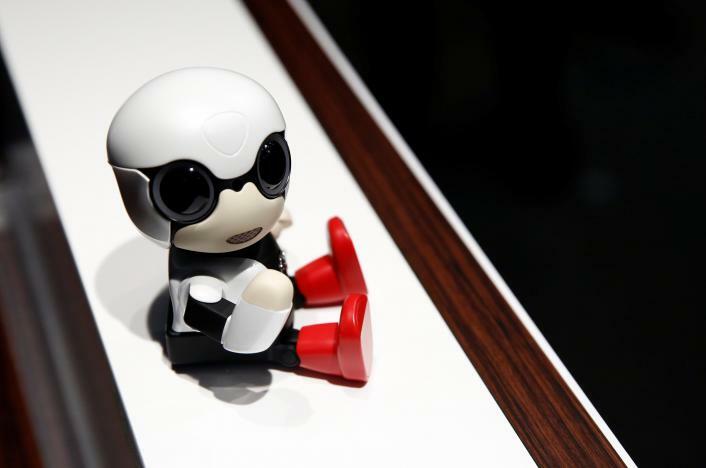 "The robot is a little trained and designed like a baby who can only sit to accompany in the car," said Chief Design Engineer of Kirobo Mini, Fuminori Kataoka as quoted by Reuters on Tuesday, October 4, 2016.